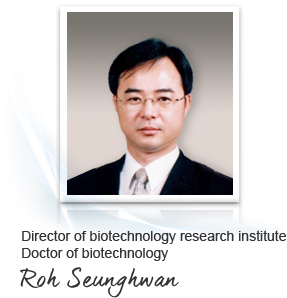 Jangsaeng Doraji biotechnology research institute is dedicated to boost the health of mankind. We have been sparing no efforts and investment to scientifically prove the value of Jangsaeng Doraji, whose value was orally passed down, for hundreds of years. Research on Jangsaeng Doraji driven by dedicated engagement of experts in different fields, which resulted in remarkable findings, will hopefully take steps higher with the establishment of Life Science Lab and move-in to Bio 21 Center. We are also working on developing new products based on patented technologies and clinical research, which includes those for bio materials, and engaging research institutes overseas for more in-depth research. The infrastructure and resources for research that we have steadily prepared serve as a solid foundation to achieve the Lab’s mid- to long-term goals. We are serious about the responsibility placed on our shoulders and your expectations in us as a member to bring greater happiness to mankind. As such, we will endeavor ourselves to constant research and development. Thank you. analysis of virus gene structural function, etc.